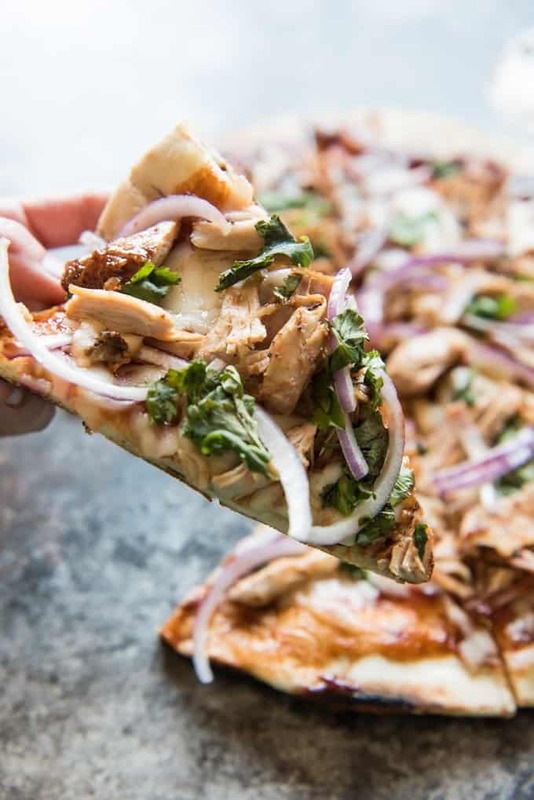 Grilled BBQ Chicken Pizza is loaded with flavor from grilled barbecue chicken, red onions, chopped cilantro and melted mozzarella cheese. The crispy, chewy crust is extra delicious when this Grilled BBQ Chicken Pizza is prepared on a grill. This post is both a recipe and a how-to for grilling pizza outside, which is perfect for summer! It’s been too long since I last posted a pizza recipe! 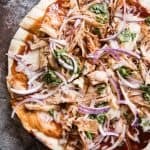 I actually had this Grilled BBQ Chicken Pizza recipe ready to go last year when I first started this blog and then never posted it because the pictures I took were so terrible! But I recently decided to attempt photographing this pizza again and the pictures turned out much better. We are big fans of homemade pizza at our house and make it on a regular basis (often on Fridays – it’s such a great way to kick off the weekend!). It’s cheaper, fresher, and fun to make it yourself instead of picking it up at the local pizza place. 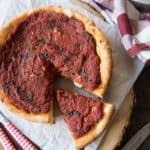 Chicken Tikka Masala Pizza, Four Cheese Pizza with Tomato Basil Arugula Salad, and Chicago Deep Dish Pizza are some of our favorites that I have posted on here before. But now that summer is here and grilling season is underway, I wanted to share with you my favorite method of cooking pizza on the grill instead of in the oven! 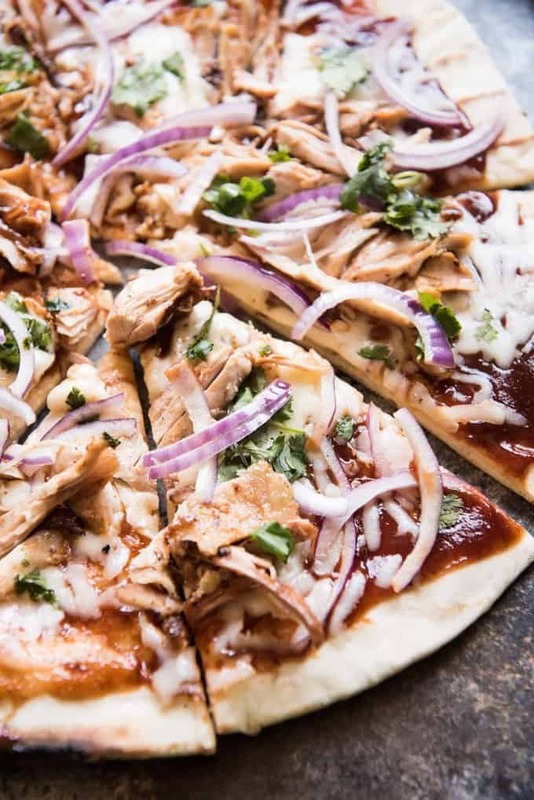 This grilled BBQ Chicken Pizza is a fantastic summertime meal because it tastes amazing and it doesn’t heat up your kitchen. 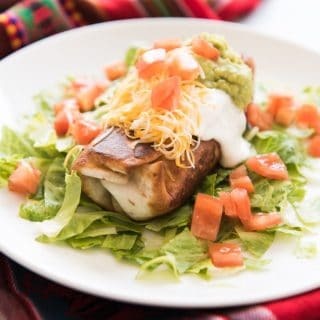 And provided you are already outside earlier in the week grilling chicken for a a summery dinner of BBQ chicken with corn on the cob, you might as well make a couple of extra pieces of chicken to save as leftovers for a second meal like this pizza or a BBQ Chicken Cobb Salad. Hooray for cooking once and eating twice, right? Grilled pizza is one of my favorite things ever because the crust gets all crispy and chewy with just a little bit of char on some of the edges, a lot like pizza that is cooked in a brick oven. And while it might seem a little intimidating at first, it’s really not as hard as it seems and your family will go crazy over how amazing the grilled pizza turns out. All pizzas do best when cooked at high temperatures. It’s how they get their crispy edges while also achieving a chewy crust. You will want to preheat your grill to medium-high heat with the lid closed about 10 minutes before you plan to start grilling. If your grill has a temperature gauge, 500 degrees is great for pizza. Also make sure that the grill grates are clean before you put the pizza dough on it. Brush it well with a grill brush, then use a tong to grab a wad of paper towels dipped in a little oil and rub that over the clean grates. As long as your grates are cleaned and lightly oiled, the pizza won’t stick at all. 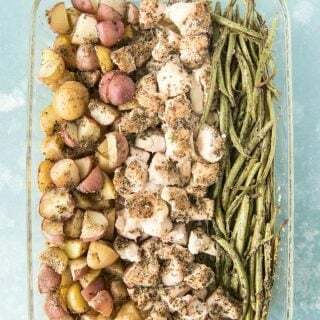 Because you are going to be doing the cooking outside where you don’t have all your kitchen drawers and utensils close at hand, it’s helpful to have all your supplies ready to go next to the grill. I’ve learned from experience that running back into the house to grab a spatula to flip the pizza isn’t the best idea unless 1) your grill is basically right beside your kitchen, 2) you love the taste of extra crispy charred crust, or 3) you don’t mind feeling frantic when you cook. A grill, obviously. We have a gas grill, but charcoal would totally work too. You just have to start your coals earlier to get the grill temp up. Large grill spatula. The smaller kitchen spatulas usually aren’t wide enough or long enough for grilling, in my opinion. 2-3 large trays or baking sheets for carrying pizza dough and toppings to the grill and for placing the finished pizzas on. Because grilled pizza cooks quickly, this isn’t the kind of process where you will have time to shred cheese or chop onions while the pizza crust starts cooking. It’s always a good practice to chop and prep everything that goes into a dish before you start actually cooking it, but especially so with grilled pizza. You have to move quickly and will be grilling more than one pizza at once, so the prep is key here. 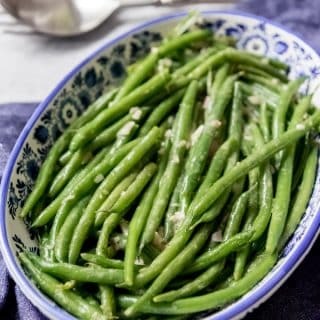 Just grab a large tray or spare baking sheet and load it up with everything you need, including olive oil for brushing on the pizza crust while it’s on the grill. I love making homemade pizza dough, but I know not everybody likes working with yeast. Many grocery stores sell fresh or frozen pizza dough, if you want to use that. 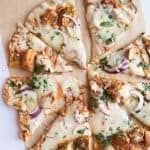 But if you are looking for a good traditional pizza dough recipe, I always make the one included in this Chicken Tikka Masala Pizza recipe (which is another pizza that tastes amazing when cooked on the grill and uses up leftovers). Try to throw out any preconceived notions about pizza shape when grilling pizza on the grill. 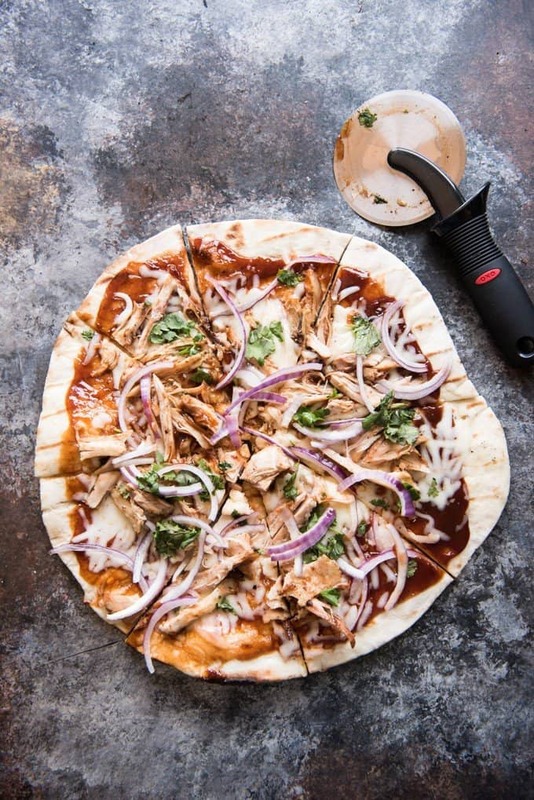 The stretchy, flimsy dough is going to flop around and you sort of just throw it down on the hot grill and won’t be able to move it without tearing it until the underside has cooked for a few minutes, so if your grilled BBQ chicken pizza ends up with an irregular shape, just embrace it’s charm and go with it. I find that making smaller pizzas is easier than making large ones, when it comes to grilling. I usually divide my dough into 3 or 4 balls and roll them out about 1/4-inch thick, since I prefer a thinner crust on a grilled pizza. 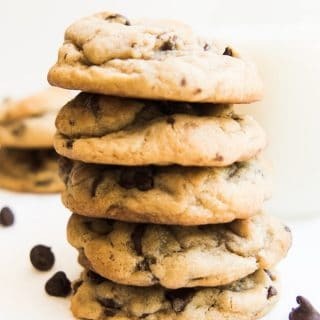 Much thinner than that though and you might have difficulty transferring the dough onto the grill grates and it will cook a lot faster and create a problem getting the cheese to melt on top of the pizza before the crust is done. If that happens, just move the pizza to the top rack of the grill farther away from the flame, or take it inside and finish melting the cheese under the broiler of your oven. If your pizza dough is on the thicker side, closer to 1/2-inch thickness, it might take a bit longer to cook through, so take note of that when checking for doneness on your grilled BBQ chicken pizza. If you haven’t already followed House of Nash Eats on Facebook, head on over there now and click Like! 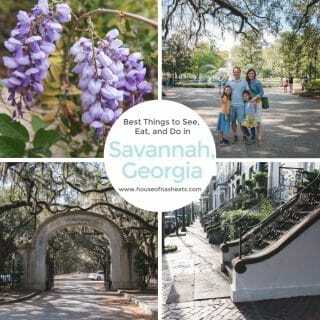 I’m branching out and starting to do Facebook Live, sharing some of my favorite tips and tricks that I use all the time. Maybe I’ll do a Facebook Live soon where I grill a pizza! Now who’s ready to fire up that grill? Heat your grill to medium-high heat with the lid closed for at least 10 minutes so it gets nice and hot. Make sure the grates are clean. Divide the pizza dough into 4-6 balls and roll each ball out on a floured surface until about 1/4-inch thick. Lightly brush with oil. Get all other topping ingredients prepped and ready on a tray so that they are handy when you start grilling the pizzas. Lightly grease the hot grill grates by using tongs to dip a small wad of paper towels in oil and brushing them over the grates. Lay each circle of pizza dough on the grill, oiled side down and close the lid. 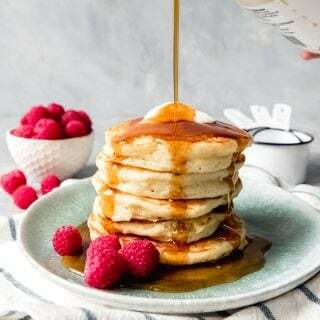 Cook for 3-5 minutes, until golden brown on the bottom with grill marks, then brush the top with a little additional oil and flip using a large grill spatula. Immediately brush the top of each pizza with barbecue sauce. 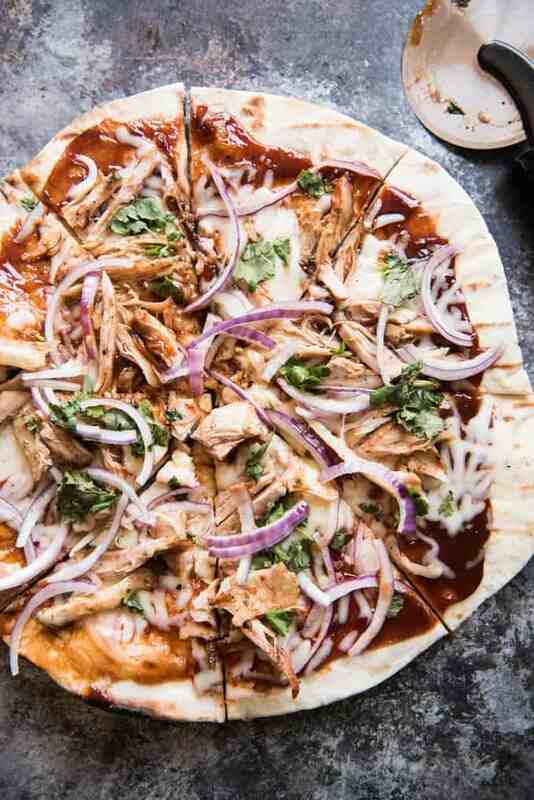 Sprinkle the mozzarella cheese, shredded barbecue chicken, and red onion over each pizza. Close the lid and cook for another 3-5 minutes, until the crust is cooked through and the cheese is melted. Be sure to watch the bottom of the pizza so it doesn't burn - turn down the heat or even off, if necessary. As long as you keep the lid closed, there should be enough heat in the grill to finish melting the cheese. Sprinkle the cilantro over the pizza, then remove from the grill and slice. If you have difficulty getting the cheese to melt all the way before the crust is cooked through, you can put the pizzas into the oven under the broiler for a minute or two to finish them off before serving. Many grocery stores sell fresh or frozen pizza dough or you could always make the easy homemade pizza dough from this Chicken Tikka Masala Pizza recipe. 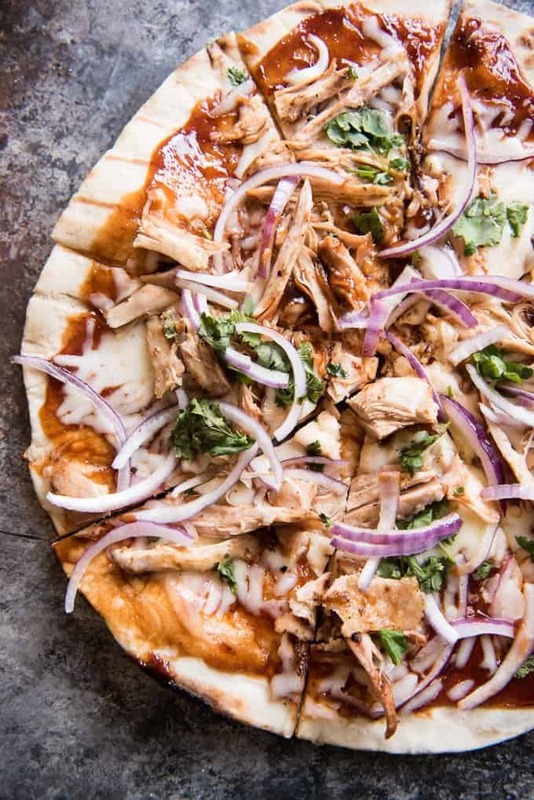 This is probably the best looking BBQ chicken pizza I’ve ever seen! Ah, one of my favorite pizza combos! 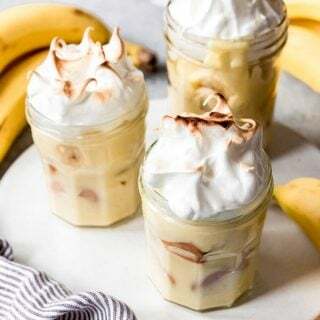 Your version looks amazing!! My mom made homemade pizza nearly every week while we were growing up! She had a small commercial pizza oven with stones in it! I love the idea of a grilled pizza. I made one similar a few years back. 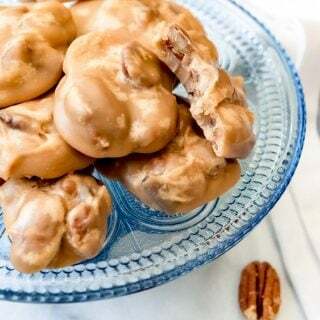 Definitely going to try your recipe with my homemade pizza dough! Have you ever tried pizza in cast iron? You know, I intended all last summer to learn to grill pizza, and just never got around to it! So sad! But THIS is some major motivation to fix that this summer. In fact, the sun just came out this weekend, so I’m thinking we’ll make an early start of it, because I need this pizza in my life ASAP! That is one delicious looking pizza. 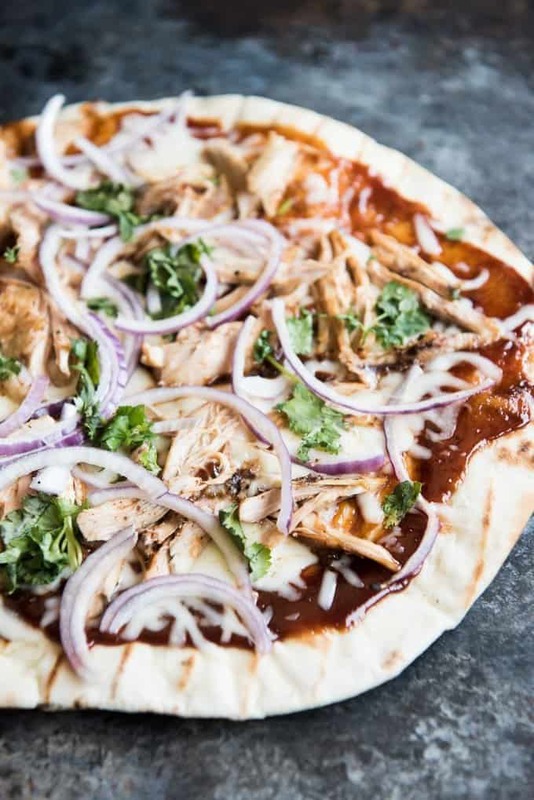 BBQ chicken adds so much flavour to a pizza. Terrific post! I bought a pizza grilling stone last year with the intent of grilling a pizza and never did it. 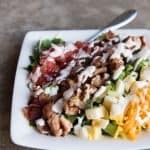 This is a very in depth explanation of how to do it right, and I adore the flavor combinations.